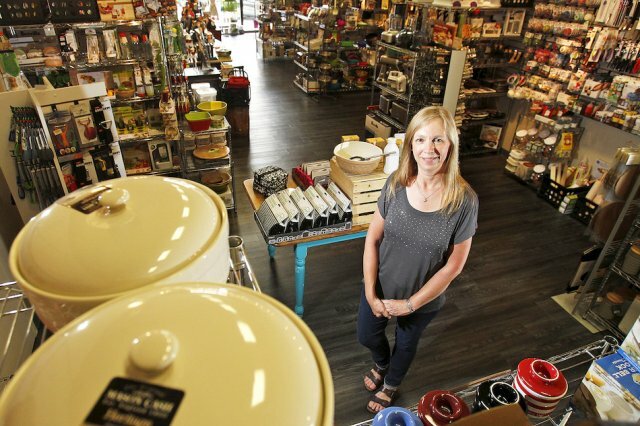 As a self-proclaimed cook, that has prepared meals for her large family for years, Mary is continually learning to cook new and different meals, and she’s finding new kitchenware items every day to make her job easier and more enjoyable. Whether you’re a French pastry chef or a person who has trouble boiling water, when you walk into Kitchen Outfitter’s, Mary will take you under her wing and guide you through her gourmet shop. Her vast experience and extensive knowledge of today’s best kitchen gadgets will help you find exactly what you need, even if you didn’t know you needed it. The Behrens have lived in Crystal Lake for 26 years and look forward to many more years serving their community with a unique and local gourmet kitchen store! ©Kitchen Outfitters, Inc. All rights reserved.